While supplies last - you can still save up to $150 OFF! WHAT IF THERE WERE CURES FOR CANCER… “HIDDEN IN PLAIN SIGHT” IN ASIA? To The Western World For The First Time . . .
You Won’t See This On HBO! When most people think about Eastern Medicine, they instantly think of the Hollywood inspired version you might see on an HBO movie. Especially when it comes to Traditional Chinese Medicine (TCM). Their minds are flooded with images of a dark, seedy shop lined with shelves full of glass jars filled with mysterious contents. Each dusty jar labeled with faded, unreadable Chinese characters describing the dried plants and animal parts or bodies found inside. And sitting behind the ancient wooden counter is a stereotypical older Chinese man sipping a steaming cup of herbal tea or smoking a pipe. It’s not the type of image that instills any confidence in Eastern Medicine… and it might surprise you to know, it’s designed to make you think that way. The truth is, Eastern Medicine doesn’t look like that and is just as advanced as Western Medicine. And in many cases, it is way more advanced! As the power brokers of Western Medicine continued to silence anything that could jeopardize their stranglehold on the health system in the USA… Eastern Medicine has been flourishing and is coexisting in peace with Western Medicine to give patients the best outcome possible. Especially when it comes to treating and beating cancer. There is no “us” vs “them” mentality. The focus of Eastern Medicine is healing the patient with whatever treatment gives the patient the best chance to treat and beat cancer. No one wants to hear a doctor's cancer diagnosis and feel terrified and powerless. But modern oncologists provide little hope to cancer patients… primarily because they’ve never been trained on how to effectively treat cancer, but rather they have learned how to treat the symptoms of cancer. Sadly, they have no real answers to cancer. But there ARE real answers in this documentary... And you NEVER need to fear cancer again! 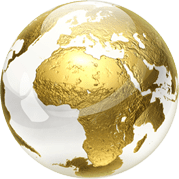 Own the complete Gold Combo Package – Physical Package shipped PLUS digital access. Knowledge is power! It's true that the Silver Package of "Eastern Medicine: Journey Through Asia" offers tons of proven natural methods to prevent, treat, and even beat cancer. Ones you can benefit from right now. While the documentary itself is jam-packed with cancer-fighting methods, we just couldn't fit everything from the interviews into it. We're talking over 47 hours here! But just like the “director’s cut” of a blockbuster movie (where you get to see the scenes that didn’t make it into the final movie and ended up on the “cutting room floor”), there was so much valuable information that didn’t make it into the Silver Package. This is arguably the most comprehensive documentary that has ever been produced on cancer treatments. 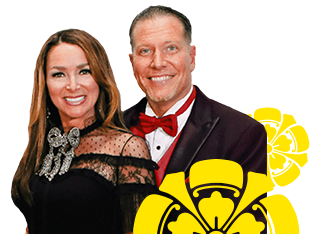 As you may or may not know, we are Ty and Charlene Bollinger, the founders of “The Truth About Cancer®.” And our mission is to help people like you get the information you need to make the best decisions in regard to your health. Especially when cancer is involved. 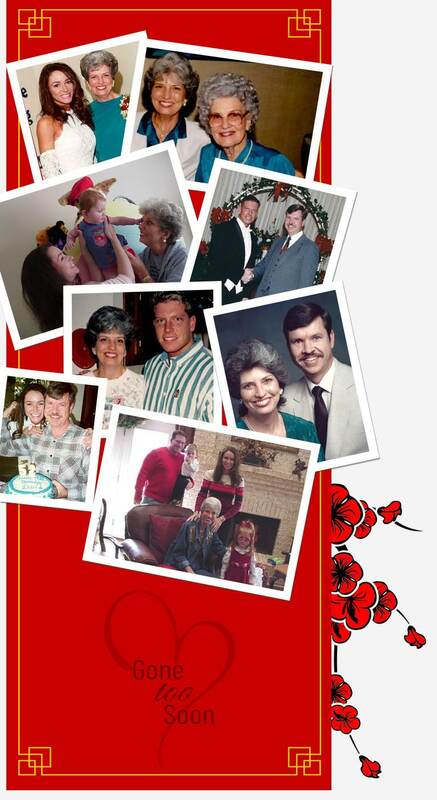 The motivation for our mission is because back in 1995, when we were married, we were surrounded by our family and loved ones. But six months into our marriage, we started to lose our family and loved ones to a despicable disease. It all started when we suffered the devastating loss of Ty’s father, Graham Bollinger, to cancer (although looking back, we realize it wasn’t cancer that killed him… it was a botched surgery). But it didn’t stop there. Six months later we lost Ty’s Granddad Bollinger, then Ty’s Uncle Joel, and also Ty’s cousin Glenn… all to cancer. That was all within the first year of our marriage. And then we lost Ty’s Grandma Helen and then we lost Papa DE. We thought the pain was unbearable… and it was. But in 2004 we lost Ty’s mother and Charlene’s “mother-in-love,” Jerry Jean Bollinger Taylor, to cancer and it was the straw that broke the camel’s back! And that pain was unfathomable! Through our research, we learned that there were information and treatments that would have helped us (and our loved ones) if we had it earlier. And although it was too late for us… it could still help everyone else. But the problem was, the treatments weren’t in America. So, we traveled where all these treatments started thousands of years ago… ASIA! There was so much great information, so we decided to share what we discovered in books and documentaries. That way we could help more people around the world. And since we did those documentaries, we have been inundated with requests to travel to Asia and share in more detail how they treat cancer there. We traveled to 7 Asian countries in search of the “hidden” healing power of Eastern Medicine. 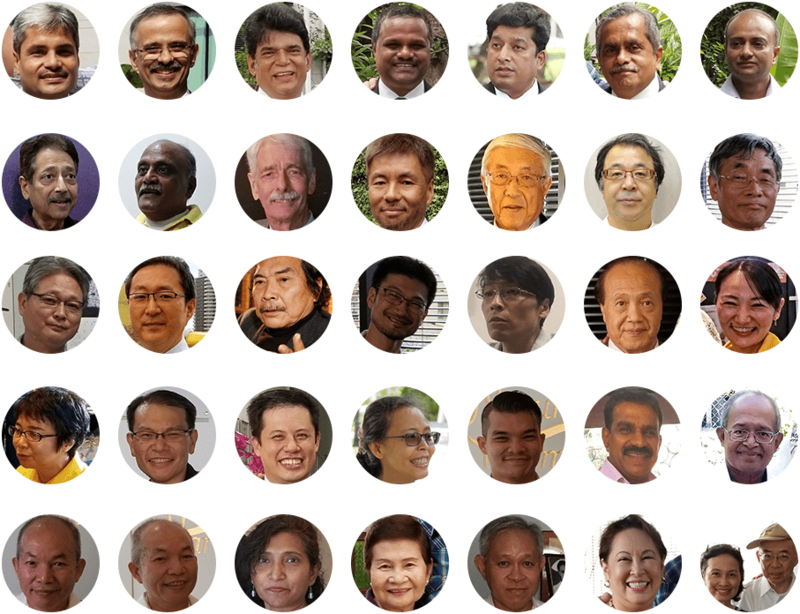 We went to Japan, Taiwan, Philippines, Singapore, Malaysia, Thailand, and finally India... and as we journeyed from country to country, we interviewed 68 of the top experts (doctors, scientist, and researchers) and uncovered how they treat and beat cancer. “Eastern Medicine: Journey Through Asia” is a documentary like no other. This 7-episode documentary explores the hidden world of Eastern Medicine and brings it to our Western World. As you watch this powerful documentary, you’ll have unprecedented access to experts and information no one has had before. Each episode concentrates on one Asian country where they are having huge success in treating and beating cancer. In our first episode, come and join the team as they explore Japan and discover the truth about the history of chemotherapy and how “chemo” was originally based on the devastating mustard gas used in the world wars. You’ll have access to secret knowledge about fermented Traditional Chinese Medicine herbs and unique Japanese fungi that are being used to reverse late-stage cancer, and you’ll be inspired by interviews with 2 “terminal” cancer patients, and how they used completely different protocols, but both are alive to tell their story! And that’s just the tip of the iceberg! In Episode 2, the team travels to Taiwan where they discover unique cancer diagnostic methods being utilized in Taiwan, as well as the history of Traditional Chinese Medicine, as communicated to them by a university professor who is also on the board of a pharmaceutical company! Learn about the importance of circulation, the energy meridians, and the “12 harmonics” and about how to effectively use herbs as an “epigenetic switch” to prevent cancer. Be enlightened by a fascinating discussion about how the “particle vs. wave” debate relates to cancer treatments in Taiwan, and get ready to be introduced to an indigenous fungus is being used across the country to reverse cancer. You’ll discover the best exercise for circulation and cancer prevention – and it’s NOT rebounding, and will be amazed when you learn about a “special acupuncture” that has been shown to eliminate cancer stem cells with a 99% success rate as well as a unique detoxification method utilizing unique ingredients from the mountains of Chiayi, Taiwan. Last but not least, you’ll find out what common dental procedure is related to 97% of breast cancer. And lots more! In Episode 3, join the team as they travel to the Philippines as they discover how laughter, dance, and music are being used to treat patients in the Philippines, and be amazed when you discover a “dirt cheap” protocol that has been used successfully with over 10,000 patients in the Philippines for only a few dollars per day! Watch a fascinating interview with the former health minister of the Philippines showing how to harness the power of the mind in cancer healing, and learn about unique stem cell therapy that is being used to reverse liver cancer and even regrow the liver. Discover a “special flower” that is being used to treat cancer (a flower that is the main ingredient in 2 different chemo drugs). In Episode 4, the team travels to Singapore where they meet a high functioning autistic medical doctor who set out to cure cancer when he was 14 and his mother died of cancer... Amazing! See his cutting-edge devices that measure “energy flow” and have proven “energy medicine” to be scientific. Learn how early warning markers are being used to stop cancer before it ever happens, and take a tour through a university “herb garden” where hundreds of anti-cancer herbs are being grown... and given to cancer patients absolutely free! Discover how anti-malarial drugs are beings used to reverse late-stage cancer, as well as the power of indigenous herbs, roots, and grasses that have anti-cancer properties. Learn from a doctor (who is also an engineer) about how you can “charge your body’s battery” to prevent cancer, and also how to create a “safe home.”And lots more! In Episode 5, join the team as they travel to Malaysia where they meet an oncologist whose life was changed when his 73-year-old aunt with “terminal” cancer refused chemo and chose natural therapy... and is still alive! Discover what natural treatments she utilized. Learn the methods of testing for cancer stem cells and how to eliminate them with specific natural substances and herbs that have “selective toxicity” to cancer cells. Discover the most important hormones to balance in order to remain cancer-free and learn about the importance of testing for cancer stem cells and eliminating them with specific natural substances and herbs. Watch how micronutrient therapy and homeopathy are being used in tandem at a cancer clinic in Kuala Lumpur, and see how two types of mistletoe therapy are being used successfully to reverse even late stage cancer. And that’s just the beginning! In Episode 6, the team travels to Thailand where they discover a clinic in Phuket using a raw vegan ketogenic diet for all their patients, with amazing success! You’ll see an interview with a trailblazing doctor who is using intravenous botanicals (like curcumin, quercetin, and Boswellia) to reverse cancer. Learn about the 3 "heavy hitter" plant chemicals and botanicals that can literally ‘turn off’ cancer in your body, and discover a cutting-edge therapy that's painless and kicks on your body's healing mechanisms to fight cancer using the power of oxygen. Be amazed when you learn how an anti-malarial drug is being used in treatment protocols due to its anti-cancer effects, as well as two medical pioneers who are using “noble gases” to detoxify the lymphatic system. And be inspired when you watch an interview with a lady from Finland who came to Thailand to be treated for her thyroid cancer – and is now cancer free! In our final episode, the team interviewed seven amazing doctors from India, who shared with them how homeopathy has now been tested and measured with a state-of-the-art microscope and proven to be “evidence-based medicine.” They discovered8 specific homeopathic remedies being used to treat cancer. Learn exactly how to combine certain minerals to produce a hormone that prevents cancer... while you’re sleeping! Discover how a common “Christmas decoration” is being successfully used as a cancer monotherapy and is actually the third most researched cancer treatment in the world (behind chemo and radiation). Already receiving chemotherapy? No worries! You’ll learn which herbs and spices can help improve your body's response to chemotherapy and protect against the side effects of the treatment. Be inspired by encouraging interviews with cancer conquerors who are alive to tell their amazing stories! And hear final words from the TTAC team as they reflect on their journey through Asia! The information above is just a small taste of the huge treasure trove of cancer-fighting information provided in “Eastern Medicine: Journey Through Asia. We met with and interviewed 68 of the top experts on the use of Eastern Medicine to treat and beat cancer in Asia. They are some of the smartest and most generous people we have met. They held nothing back as they revealed the treatments they use and how the therapies they use are now backed up with evidence-based research. Now there is no doubt that Eastern Medicine works. As you know, the advancement of treatments, therapies, and prevention of cancer won’t be accomplished through mainstream and Big Pharma-funded facilities. It will be accomplished by the brilliant minds and scientists that are taking the risk of thinking and acting outside the box. That's why we're donating a portion of the proceeds to amazing charities like The Independent Cancer Research Foundation (ICRF), Cancer Control Society, and The Nicholas J Gonzalez Foundation. Plus we also support charities like Healing Strong and Cancer Crackdown that help support patients that as they go through treatments on their way to healing. We've donated almost half a million dollars over the past 5 years and we continue to support charities that do real cancer research and help patients across the globe. Please know that when you support our mission, you're supporting an organization that was built on the foundation of honoring God through caring and giving. Yes, we're giving you 90 days to try “Eastern Medicine: Journey Through Asia” documentary! Each episode is dedicated to a specific country and the way they use Eastern Medicine to successfully treat and beat cancer. And the best part is, they do it all without harming the body. You can enhance your viewing experience with written transcripts for each episode. Every word has been caught in the 254 pages, so you never miss a thing. You’ll have the audio recording so you can listen to them on your commute or while you exercise. That way you’ll get all the valuable information without needing to watch the video. This book is an invaluable quick reference guide of all the treatments, detoxes, and diagnostics our experts spoke about in the documentary. You’ll have all the raw, unedited interviews on Video and MP3, so you don’t miss a single word. This is the transcript of the 62 full-length uncut expert interviews. Yes, we're giving you 90 days to try “Eastern Medicine: Journey Through Asia” docu-series! Don't decide now... Take all the time you need and try "Eastern Medicine: Journey Through Asia" FOR 90 DAYS. Cancer is a word that strikes fear into the hearts of even the strongest person. And the reason most people fear cancer in the Western World is because doctors only know how to treat the symptoms … not cure the cancer. But in Asia where Eastern Medicine is used extensively, they don’t have the same fear of cancer as we do. And it’s because their doctors know how to treat and beat cancer. This is why it’s so important that you know what options are available to you… all of your options! We wish we had this information before we lost so many irreplaceable, much-loved family members to cancer. P.S. Order "Eastern Medicine: Journey Through Asia" today – you'll be glad you did. Q: I see there’s a Silver package or the Gold edition, which one should I get? What’s the difference between them? 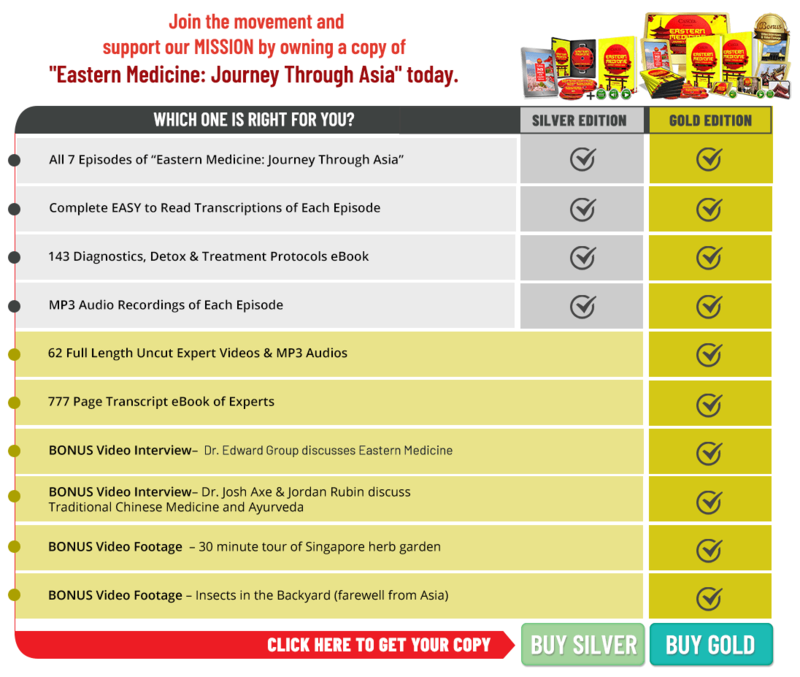 The Silver package contains just the 7 episodes of “Eastern Medicine: Journey Through Asia” and the easy to read transcriptions, as well as the eBook of 143 Diagnostics, Detox & Treatment Protocols. But because we know that most people like to do a deep dive into the information, the Gold edition has some extras added in. Here’s a quick guide to show you what’s in each package to make your decision easier. Q: How long will it take to receive my Physical/ Plus package in the mail? A: The packages are currently being printed at our fulfillment center and will be ready for shipping by April 15. Domestic orders usually take around 5-7 days to be delivered. While international orders can take up to 2 weeks. Q: If I need to ask you a question or if I need assistance, what is the best way to contact you?